Having a new puppy or dog in the home is the quickest way to teach humans to be very tidy. 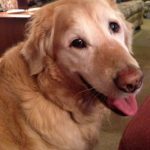 If your dog rummages through garbage/laundry or spends their days counter surfing, “leave it” and “drop” are two very important cues to teach them. Both must be practiced with real-life items or the moment they grab your favorite sock, “drop” will fall on deaf ears. “Leave it” means you can not have it but “drop” means get it out of your mouth, remember they are two different behaviors. Hold a toy in your hand and allow your dog to take it as a reward for “wait”. Say “drop” and count to two. Then put the a treat right at your dog’s nose. Say “yes” when she removes her mouth from the toy and give her the treat. Make sure the treat is more exciting than the toy. Do this a few times. Next, give her the toy but do not show her the treat. Simply say, “Drop”, “Yes” and give her the treat when she does. It is important to quickly wean off the treat so she responds to the “Yes” and not food. In order for her to be successful, you must slowly bump up the difficulty of what you ask her to “Drop”. Practice makes perfect, work on this exercise with every toy in your dog’s toy box. 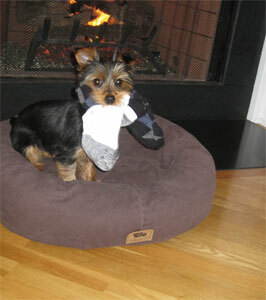 It’s also important to incorporate on leash “leave it” training sessions to avoid sock thievery. You never want to offer your dog a forbidden item just to tell them to “drop”. Dora loves her socks and her guardians have worked very hard to make sure she does not chew them up and hurt herself.